In what's been a slow couple of weeks, (even with Mickey's Halloween Party going on), we finally have an interesting story. 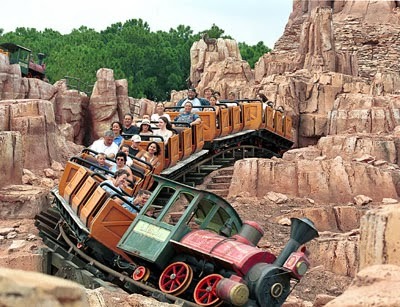 The much-anticipated grand reopening of Thunder Mountain Railroad has been delayed. For reasons that aren't yet fully clear, the nearly year-long refurbishment will take another few months. For those unaware, Big Thunder is undergoing a massive overhaul that had it closed even during the entire duration of summer, the park's biggest season. It was scheduled to reopen in mid-October. But things have changed, and we won't be seeing this ride until the Winter of next year, which could even mean as late as March 2014.